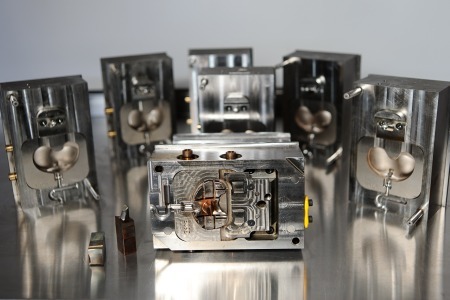 At Jasonmould, we provide vacuum casting, SLA, SLS and CNC Machining. Materials could be plastics and metals, such as ABS, PMMA, PC, aluminum, stainless steel, magnesium alloy and brass etc. Our price for SLS & SLA would be comparatively lower for some small parts. For very huge SLS & SLA parts, we would suggest customers turn to European companies. But frankly we are extremely competitive in CNC prototypes and vacuum casting, typically our pricing would be only about 40-60% of the West and with quick delivery time. Usually the delivery time for several parts by CNC would be 7 to 10 days, including 3 or 4 days by air shipping. That is why many of our customers would like to come to us for CNC and vacuum casting. Lower price but the same quality as the West. We also provide low-volume production up to hundreds or thousands of units. Learn more about prototyping below or if you have such kind of projects, please send your 3D CAD file to our international team of experts to get a free quote. Rapid prototyping involves specialized manufacturing techniques for making high-quality physical models of a 3D design idea. 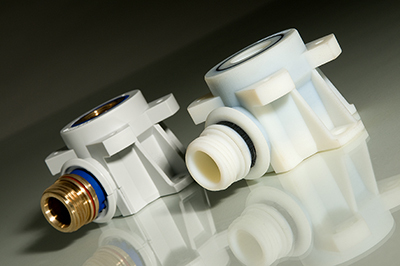 Prototypes are useful for design improvement, as stepping stones to full production or for engineering testing. They are meant to be quick and economical, without the need for the investment in hard tooling. Many of our clients need to produce a physical part quickly in order to validate a design or to capture a fleeting sales opportunity. CNC machining is ideal for making high-quality rapid prototypes from plastic or metal without investing in expensive tooling. Your parts will achieve tighter tolerances with better surface finishes than with other prototyping methods. We can also machine all the features needed for a fully functional part, including tapped and threaded holes and precisely flat surfaces. We have over 30 CNC mills, lathes and EDM machines in-house for all your CNC needs. We also have a multilingual support team to ensure your product development journey is smooth and worry free. Learn more about our CNC machining service. Metal 3D printing is ideal for making complex shapes that combine light weight with high strength. You don’t need to invest in hard tooling and parts can be printed in hours rather than days or weeks. We use a state-of-the-art Renishaw AM250 printer to create fully dense parts for ultimate performance. Just as importantly, we have expert technicians in-house who provide you with an unparalleled degree of engineering expertise to ensure you get the highest quality finished product. Find out more about our 3D metal printing service. Polyurethane vacuum casting molds create up to 30 high-fidelity copies from your original master pattern. Parts can be molded in a variety of resins, including engineering grade plastics, and even overmolded in multiple materials. We are experts in making production quality cast copies from master patterns. Not only will you benefit from our exceptional attention to detail, but we also provide a full suite of finishing services to bring your part up to showroom quality. Learn more about what our vacuum casting service can do for you. SLA and SLS are two of the earliest 3D printing or additive manufacturing processes for plastic. Not only are these techniques fast, but they allow you to produce complex internal features impossible to make with traditional manufacturing. We use SLA to make master patterns for vacuum casting molds. Both are ideal for making small volumes of finished parts or prototypes. If you need larger quantities, try one of our low volume manufacturing services. At Jasonmould, we also offer low-volume production services where we can provide you with 100,000+ plastic and metal parts. Our low-volume manufacturing options ensure that we can take you through the entire journey from prototype to bridge tooling to low-volume production. Learn more about the benefits of manufacturing in low volumes.